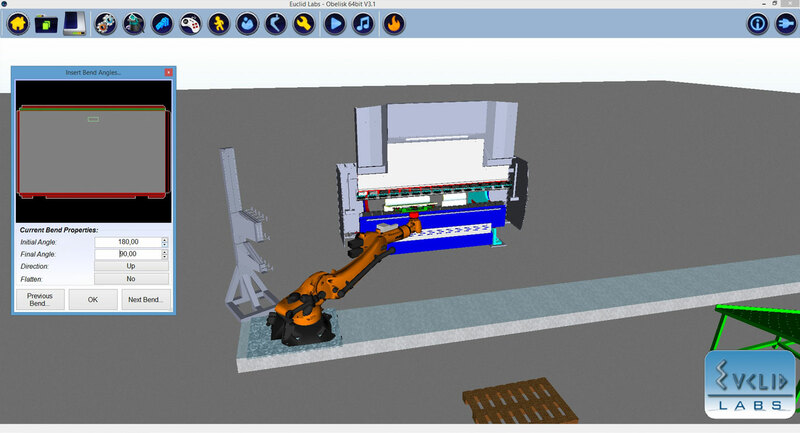 Obelisk offline programming for pressbrake robot workcells enables you to simulate the whole bending process and program them from your office. 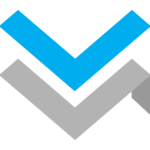 Obelisk increases the efficiency of the workcell reducing off time for tool setup, gripper design and robot programming. 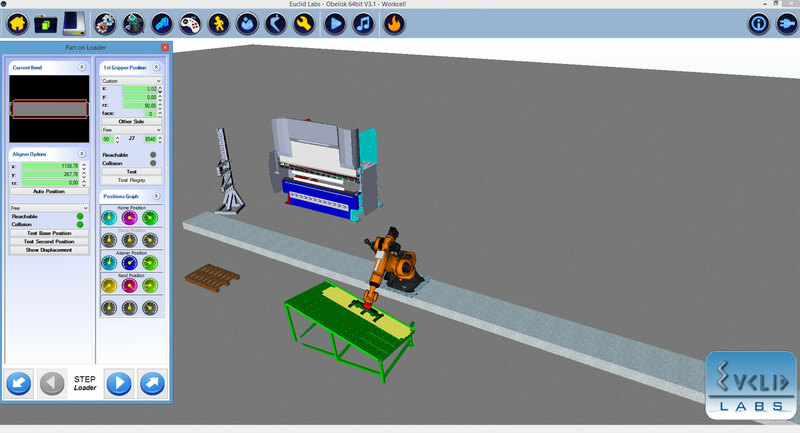 – For each step the user can select how robot has to handle the part, how it has to follow bend and regrip at the end. 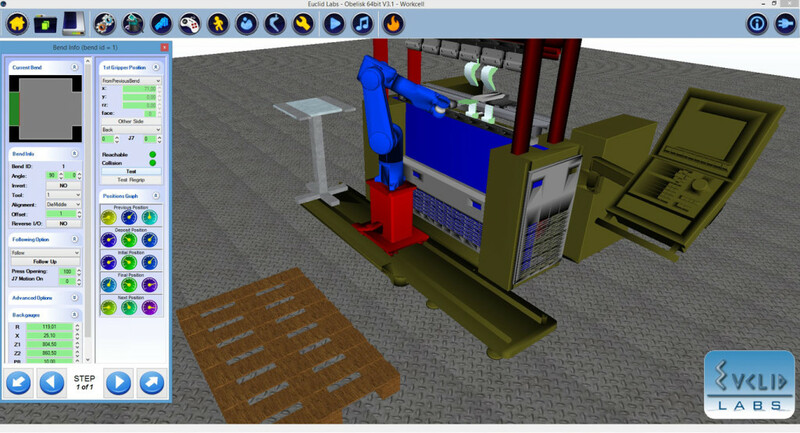 Robot gripping point can easily be entered by user in a full 3D enviroment. 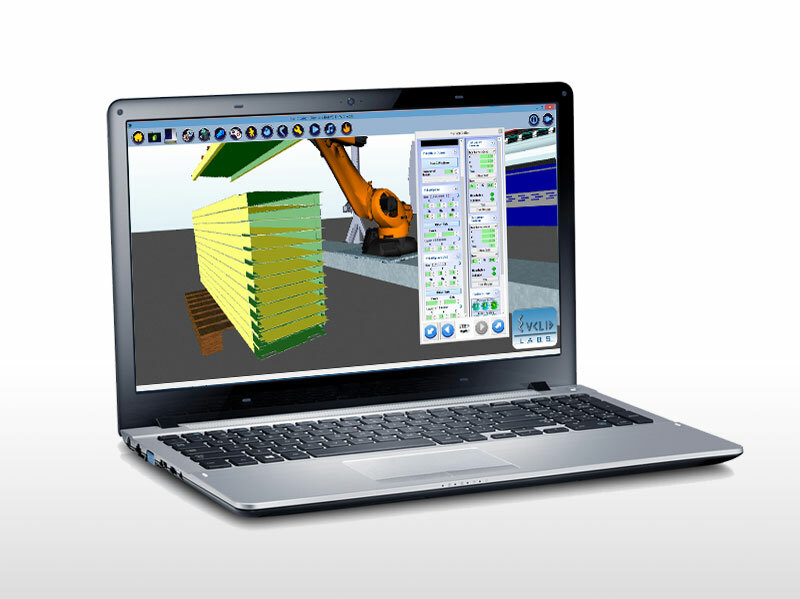 – At the end of the process Obelisk allows to visualize different possible palletizing option and to select the user needs best fitting. 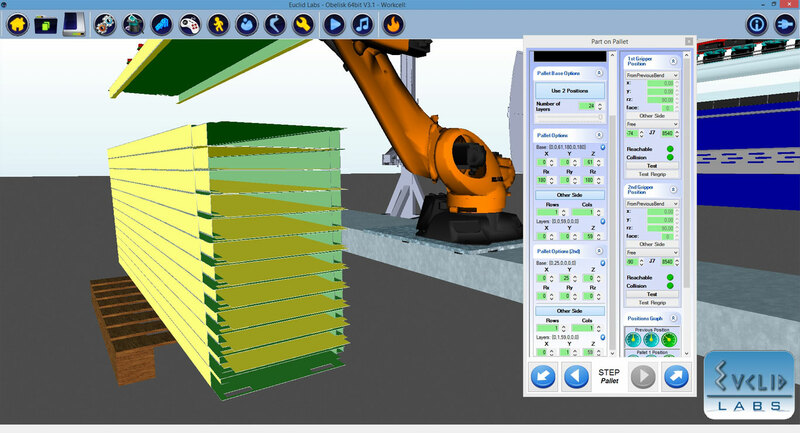 – If necessary robot will regrip parts before releasing it on pallet or will use different gripping position for different layers. 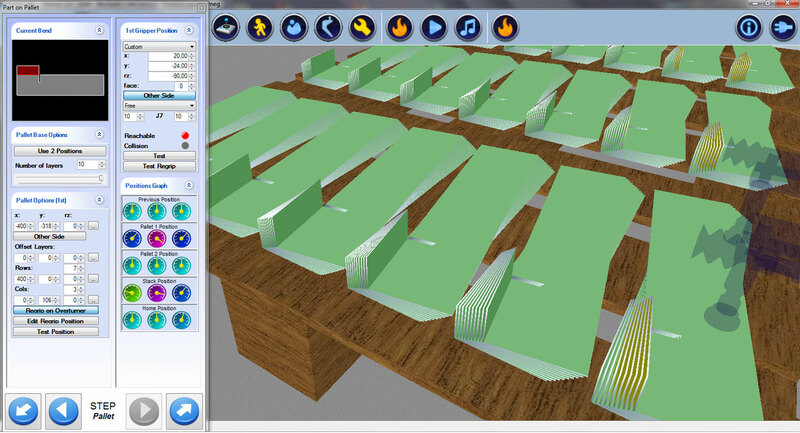 – Trajectories are automatically calculated and translated in a robot program. 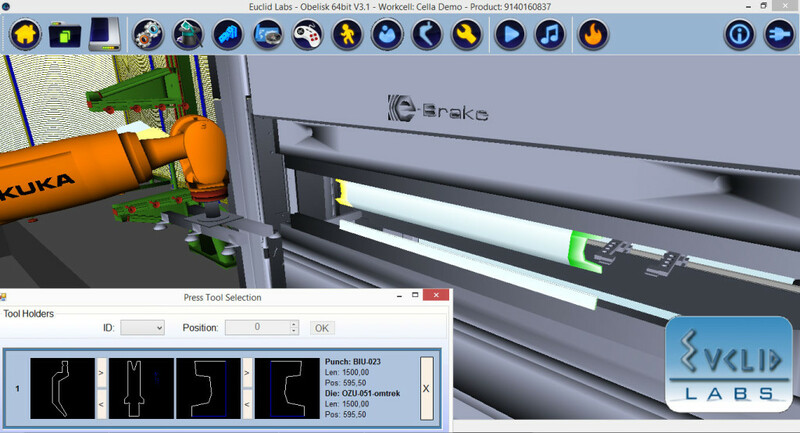 Bending subprograms and functions for Fanuc, Kuka and Staubli are part of Obelisk package.